La Barrosa (Playa de La Barrosa to use its full name) is a beach resort on the Costa de la Luz where you will find a beautiful 8km long beach, stretching far and wide with its deep white sand. 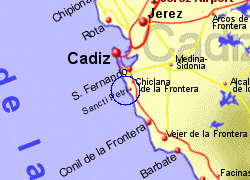 This is not a town in its own right but a beach resort in the municipality of Chiclana de la Frontera. 40 Km to the east is one of the largest cork oak forests in the world Los Alcornocales Nature Park. There are restaurants, shops and bars along the beach front and the 'high street' of La Barrosa. 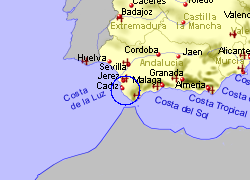 This stretch of Atlantic coastline is popular with surfers in winter time. 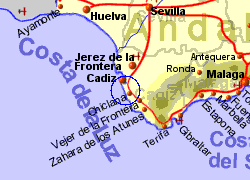 Map of the La Barrosa area.